Cinco de Mayo is just around the corner, and while most people will be drinking Margaritas, let me recommend a Tequila Sunrise. Yes, you read that right, a Tequila Sunrise. The Tequila Sunrise has a bad rap. When most people think of a Tequila Sunrise they think of bad orange juice, neon red grenadine syrup, and wince-inducing tequila. 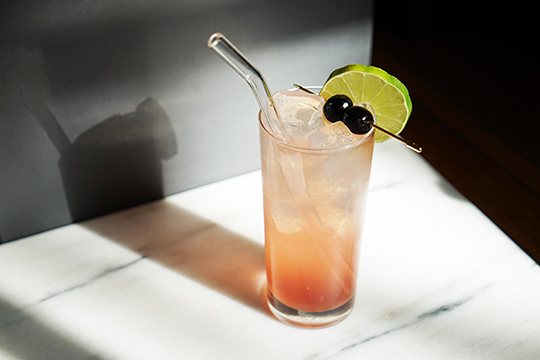 But there are two versions of the Tequila Sunrise - the well known version that was created in the 1970's (the dark ages of cocktails, as some call it), and the original version that was created by Gene Sulit in the 1930's and was served at the grand Arizona Biltmore Hotel in Phoenix, Arizona. 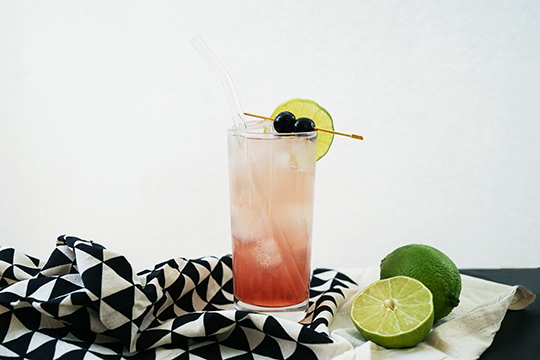 Fortunately for cocktail lovers, the original version is delicious - the savory and salty agave flavor of Altos Plata Tequila pairs nicely with a quality Creme de Cassis such as Lejay and a squeeze of lime. Why Silver Tequila, you might be wondering? You want to use an unaged tequila that has a crisp and clean flavor but will add a nice salty minerality to cut through the sweetness of the Creme de Cassis. 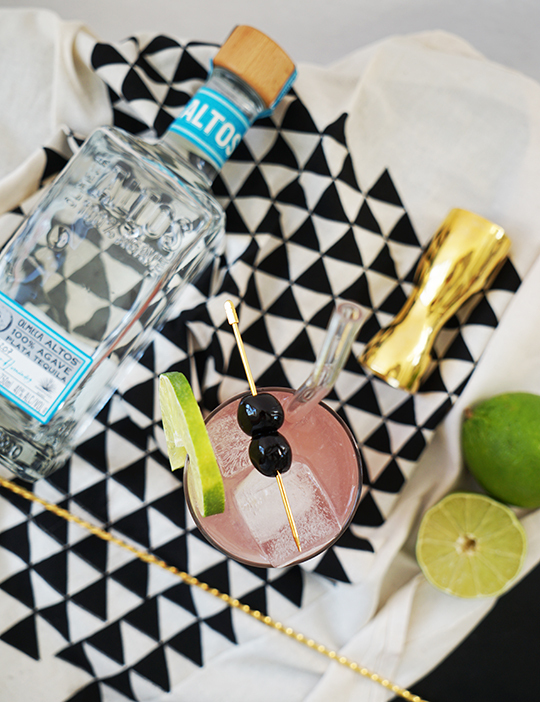 I love Altos Plata for mixing because it is really affordable and it has a clean flavor of agave and bright citrus, and yet it is incredibly smooth for sipping. My favorite thing about this drink? It is filled with soda water, so you can be secretly hydrating as you're keeping the party going! 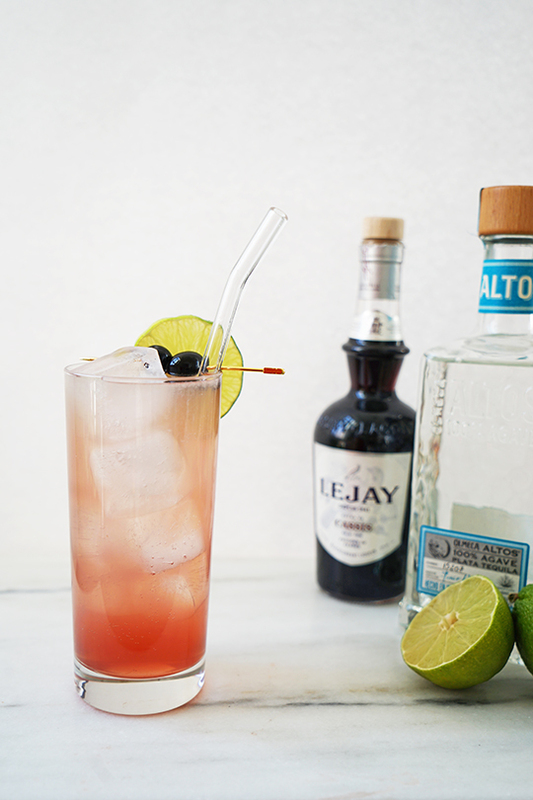 Shake the Tequila and Lime Juice in a cocktail shaker with ice. 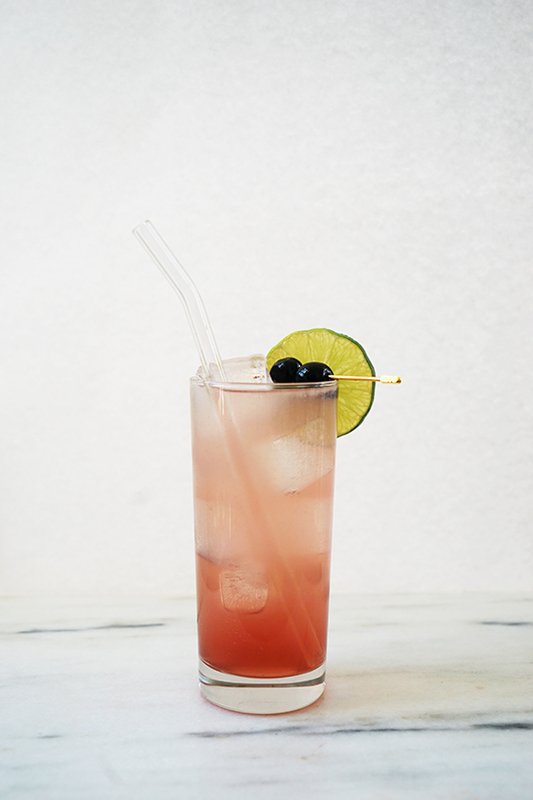 Strain into a chilled Collins Glass filled with ice, and top with soda water leaving room at the top of the drink. 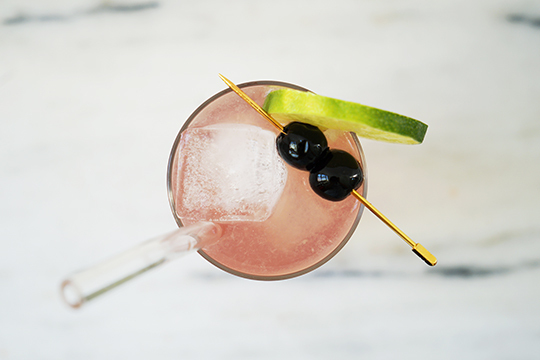 Add Creme de Cassis to the drink, and let it sink to the bottom of the cocktail Garnish with a lime wheel and a Luxardo Cherry.